How to rip DVD to the new iPad 1080P with Any DVD Cloner Plaitnum? 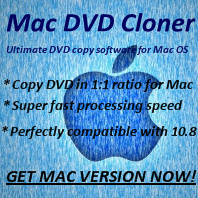 Q: How to rip DVD to the new iPad 1080P with Any DVD Cloner Plaitnum? A: Click "More Settings"-->"Picture"-->"Anamorphic", choose "None", then input your desired "Width" and "Height" in above blanks. Note: if choose "Strict" for Anamorphic, it means the output video frame size will be subjected to the original DVD.